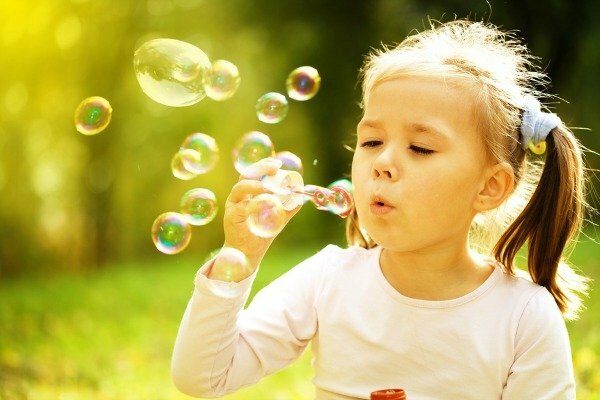 Whether you live in a house or an apartment, like the outdoors or prefer to stay inside, have heaps of cash in your bank account or live on a strict budget, there are HEAPS of ways to have fun when it’s hot outside, and this list of 100 summer activities for kids has something for everyone! I originally put this list together a couple of years ago when my daughter was still too young to appreciate most of the ideas I’d collected, and while we’ve tried quite a few since then, this will be the first summer we live in a house with a backyard, and we are beyond excited. I’ve continued to edit this list over time, and before I share my current top 100 summer activities for kids, I wanted to share 3 fabulous kids activities books I recently stumbled across that will provide you (and me!) with even more ways to have fun at home while your kids are climbing the walls this summer. These books are available at Barnes and Noble and Amazon, and I’ve included an Amazon affiliate link to each in case you’re lazy like me and prefer to make your purchases online! And now, for my list of 100 awesome summer activities for kids! 1. Start a water balloon fight! 2. Make a pool noodle water wall. 3. Have fun in the dark with this DIY glow in the dark ringtoss! 4. Make your own sandbox so you can build sandcastles right in your backyard! 5. Have fun with water tables. 7. Have a newspaper snowball fight! 8. Three words: water balloon pinatas! 9. Have a firework display in your backyard after the sun goes down. 10. Host a “summer camp” for all of the neighborhood kids! 11. Hit the pool and play a round of swimming pool scrabble. 12. Go for ice cream. 13. Make your own water slide! 14. Do some magnetic ice fishing in the sun! 16. Make these toilet roll binoculars and go for a nature walk! 17. Put the kids in their PJs and take them to see a movie at the drive-in. 19. 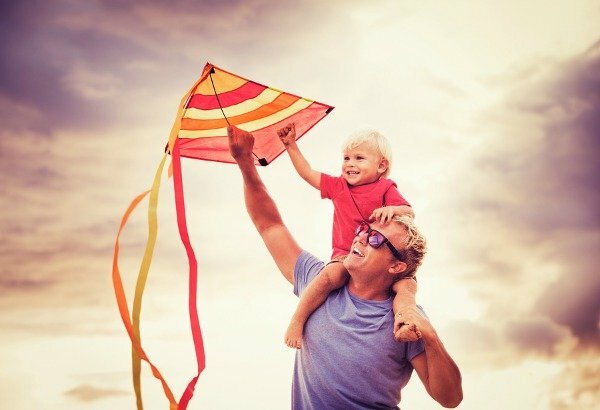 Make your own kites and then take them to the park to test them out! 20. Have a skip-rope contest. 21. Organize some old fashioned backyard games. 22. Go strawberry picking and then make homemade strawberry jam. 24. Create an ABC activity jar! 25. 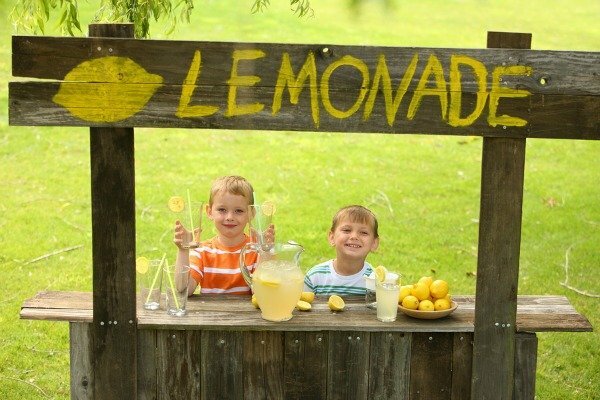 Make a lemonade stand. 27. Keep your kids busy with some backyard sensory bins. 28. Have a picnic lunch with your favorite foods! 29. Make a laser maze! 30. Get out the sidewalk chalk. 31. Enjoy a nice, fattening, cold ice cream from the back of an ice cream truck. 33. Jump into the pool and try out these awesome pool games! 34. If it’s raining outside, put on your rain boots and splash around in the puddles. 35. Spend the day at your local splash pad. 37. Create this AWESOME alphabet sounds fishing and matching game! 39. Make a bonfire in the backyard and tell scary stories. 40. Make frozen banana pops. 41. Visit an amusement park or a local fair. 42. Make a pool noddle race track! 43. If it’s too hot or rainy, build a fort. 44. Organize an “I spy neighborhood walk”. 46. Collect rocks and paint them. 47. Go to the movies! 49. Visit local tourist attractions in your city. 50. Have a family water gun fight! 52. Make your own plastic bottle bowling set. 53. Whip up a batch of edible play dough. 54. Make your own board games. 55. Let your kids go wild and decorate their own bikes! 56. Build a race track with masking tape. 57. Have a hula-hooping contest to see who can keep their hoop going the longest! 58. Make popsicle stick crafts. 59. Spend the afternoon painting with ice cubes. 60. Grab your gardening gloves and watering cans and try some of these gardening activities for kids! 62. Teach your kids how to knit with their fingers. It’s so easy – even I can do it! 63. Get out the spray paint and have fun with this DIY lawn twister game! 64. Make your own toy boats for hours of fun water play. 65. Make an outdoor obstacle course! 66. Spend the afternoon painting with edible paint. 67. Let your kids go wild with some of these fun (and messy!) activities for kids to play in the dirt. 68. Make old fashioned tin can stilts. 69. Play spray bottle freeze tag! 70. Enroll your kids in swimming lessons. 72. Put together an alphabet scavenger hunt in your backyard. 73. Make these adorable love bug rocks. 74. Make your own sprinkler out of a pop bottle. 75. Delight your kids with these exploding paint bombs! 76. Go on a bug hunt and store what you find in one of these cute DIY lightning bug jars. 77. Spend the day at the zoo. 79. Crank the tunes and DANCE! 80. Play sponge bullseye on your driveway. 82. Paint a tree (with washable paint)! 84. Make beaded sun catchers. 85. Do some spray bottle painting! 86. Make one of these fun waterfalls! 87. Lie in the backyard after the sun goes down and count all of the constellations you can see. 88. Go to your local pet store and learn about the different animals. 89. Make these adorable labels for your vegetable garden! 90. Go to 7-eleven for a slurpee. 91. Get your kids excited about chemistry with this fizzing good tea party. 92. Make your own mini-golf course! 93. Organize an overnight “camping trip” in your backyard or living room. 94. Make a pool noodle bath pit. 95. Feed the ducks at your local pond. 97. Let your kids get creative and paint your windows. Don’t worry – it washes off! 98. Play a good ‘ole game of tag. 99. Roll down a hill. I’d forgotten how much fun this is! 100. Take all of these ideas and create a summer activity bucket! If you liked this collection of summer activities for kids, please share it on Pinterest! If you’re looking for more ways to have fun with your kids, please follow our Kids board where we share all kinds of fabulous ideas! as directly into rectiffy work thst is poorly created by tenants. carried in addition to it.